Health supplements: heart circulation, energy, strength; all are good reasons to try certain nutritional products. Nutritional products geared towards improving circulation and the heart can often help prevent disease or keep it from getting worse. Below is a list of supplements you may want to consider taking to improve or prevent disease in your body. 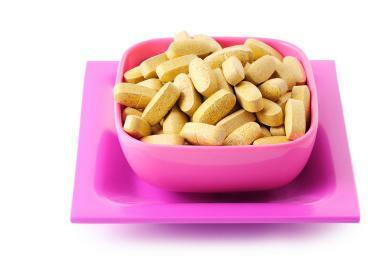 There are a variety of vitamins and supplement formulas that have been associated with improved heart health. Talk to your physician before trying any prescribed course of action. All of these mega vitamins and vitamin supplements are used to support health heart function. GNC Mega Men Multivitamin GNC Men's Multivitamin for the Heart helps maintain normal, healthy blood pressure, lowers LDL, and may reduce the risk of coronary heart disease. GNC Mega Women Multivitamin GNC Women's Multivitamin for the Heart is specially formulated for women to help maintain healthy blood pressure, lower LDL, and may reduce the risk of heart disease. Prevention Nutrition's Cardio Health Program supplement helps support a healthy heart by lowering LDL cholesterol, blocking the absorption of cholesterol from food, maintaining normal blood pressure and supporting blood vessel function. Phytosterols are thought to reduce the amount of bad cholesterol in our body. CoQ10 is a popular supplement and can easily be found in the vitamin and supplemental nutrition section in your grocery store or at a GNC or the Vitamin Shoppe. Not all oil and fats are bad for you! Fish oil is rich in omega-3 fatty acids. It is naturally found in fish. It is used to help treat those who have high triglycerides, and high cholesterol. Because of widely publicized studies, fish oil is easily available in most supplemental nutrition sections in your grocery store or local drugstore. Vitamin E is the healing vitamin. Many people buy capsules and break them open to treat burns and minor scrapes and bruises. However, Vitamin E, can also help protect against artherosclerosis. Vitamin E is normally found in nuts and seeds, leafy green vegetables, whole grains and egg yolks. This can also be found easily at your local grocery store or drugstore. Soy has been used for quite a while to prevent and aid in high blood pressure and high cholesterol. One reason is that when eaten with rice, soy provides an amount of protein that's comparable to meat. Thereby eating soy allows for a healthier diet. You can easily obtain enough soy in your diet through eating foods such as soy beans, tofu, tempeh, or soy milk. However, soy also can be obtained as a supplement in capsule or tablet form. The medicinal use of garlic has been around since ancient times. Both the Bible and the Talmud mention using garlic. Hippocrates, and other well known ancients all write about using garlic to cure a variety of ailments.In a four year clinical trial of patients with artherosclerosis, it was found that consuming at least 900mg of garlic per day decreased the plaque on the arteries by as much as 18 percent. Garlic supplements should be available at your local drugstore, GNC or Vitamin Shoppe. Doing all of these things, including taking nutritional supplements under the guidance of your doctor will help ensure that your heart is healthy for years to come.